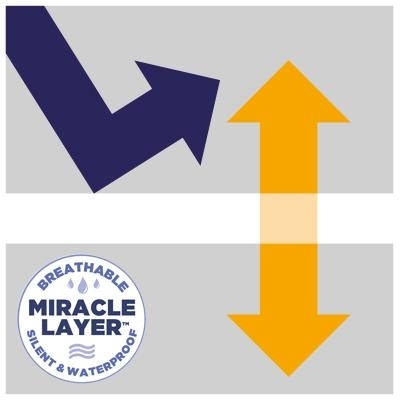 The Allerzip Smooth Anti-Allergy Fully Encased Waterproof Mattress Protector has a dust-proof flap and tamper proof SecureSeal® making the mattress bug entry, and escape proof, whilst also ensuring allergens cannot become airborne. 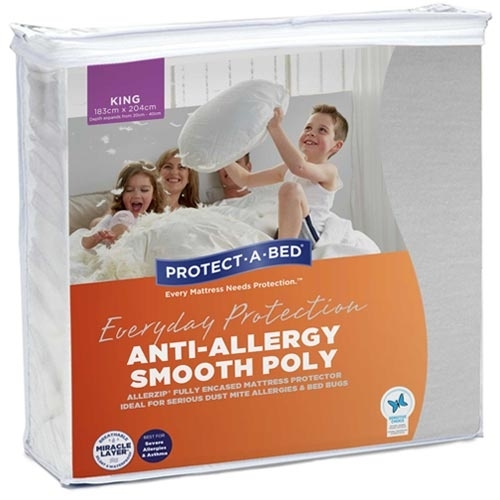 Simply fit and forget by laying a Protect-A-Bed® fitted mattress protector on the top for easy removal and regular washing with other bedding. Smooth and absorbent, this polyester offers a comfortable sleep, perfect for everyday family use and value. This full mattress encasement provides Fit and Forget protection from dust mites, bed bugs, and other insects, with a BugLock® system. BugLock® combines a dust-proof flap, three-sided zipper, and tamper-proof SecureSeal® closure to ensure total protection. 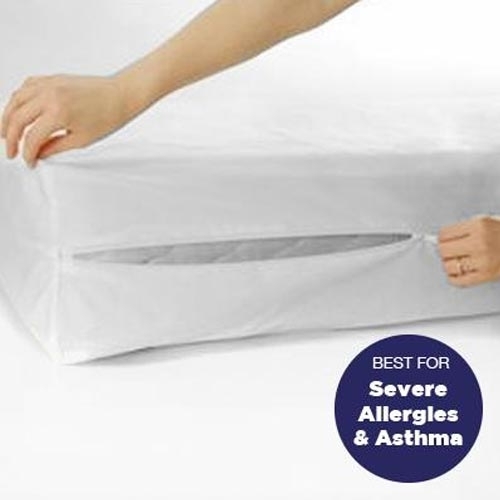 You and your family from dust mites, mould and bacteria allergens that may be present in the mattress. It is also free from accidents, spills, and stains. Protect·A·Bed® conducted a laboratory test to find out what lurks in the average unprotected mattress.